"I can see true love. I don't mean the chocolate-covered, mushy-gushy signs of true love, but real, destined-to-happen happy endings. All I need is five seconds of eye contact, and I'll envision anyone's soul mate." I received an advanced copy of this novel in exchange for an honest review. I had a really fun time with The Best Kind of Magic. It's been a while since I picked up a novel that was so purely enjoyable and cute. Sure, I wasn't mind-blown or anything, but Cestari has written a novel that would make preteen me sequel. The premise is definitely interesting. What would you do if you could envision anyone's soul-mate - even the perfect match for the boy you love? And it's not you? Amber is torn between trusting the validity of her supernatural visions and following the desires of her heart. This was definitely the aspect that kept me reading, and I was really impressed with the original concept. There are plenty of other paranormal creatures sprinkled throughout the tale, including vampires and leprechauns. I've heard that some people aren't a fan of this style of fantasy, but I found it amusing and even a little quaint. 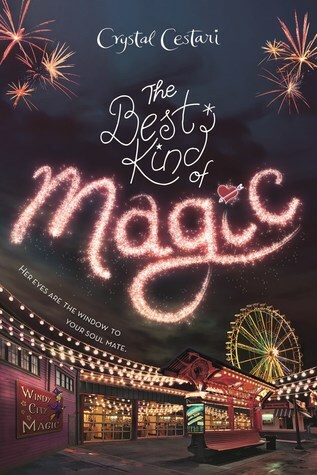 Almost every part of The Best Kind of Magic reminds me of the light-hearted novels I used to read when I was younger. The YA genre has grown to encompass such as wide range of content, but Cestari's novel is truly a book I could recommend to teens of all ages. It's fun, cute, and of course, romantic. I've already read the synopsis for the second book, I really do see good things down the road for this series. If you're looking for a fun (and fairly quick read), definitely check this one out! 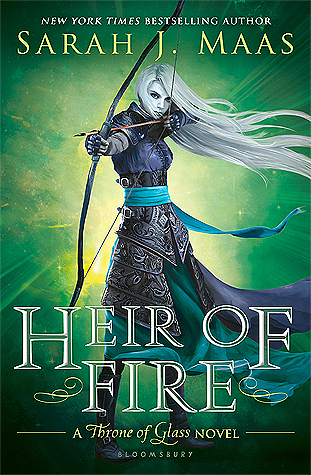 It just hit shelves today, so happy book birthday to Crystal Cestari.